Harry Winston Opus 8 embodies what it likes to call the art of digital emotion. The case, which is inspired by watch designs from the early years of digital watches in from the 80s, holds within it a manually-wound mechanical movement with a digital display of the hours and minutes. At first glance it might seem straightforward, but there are hidden depths to this watch which its creator describes as a work of innovation in tradition. The Opus Program was first launched by Harry Winston and Maximilian Busser in 2001, The idea behind the program is that each year a top watchmaker develops an elaborate design which questions and reexamines our approach to reading time. The Opus series of watches is one that even the most highly skilled horologists eagerly wait to see each year. 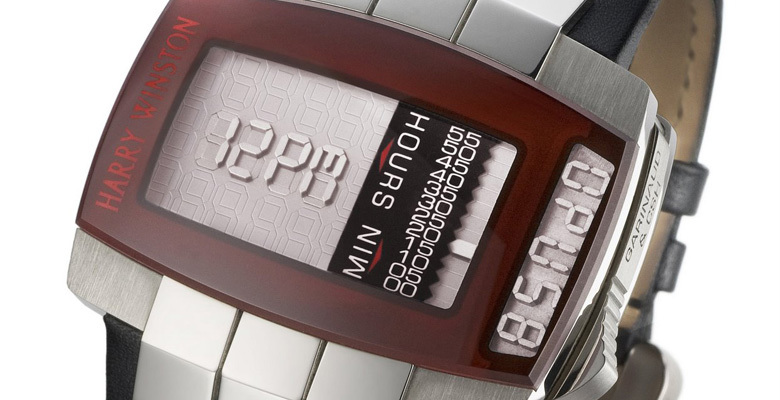 In the case of the Harry Winston Opus 8, developed in the year 2008, the novel numbers appear only on demand, when a slide on the right side of the watch is activated. Perhaps you have seen a novelty board of pins capable of reproducing any shape that is pressed onto it such as a hand, or even a face, This is the effect that the numerals reproduce on the Harry Winston Opus 8. The mechanism links all of the functions together: the minute drives the hour, which in turn drives the AM/PM, so that everything can be displayed upon demand. The 45mm watch was conceived by creator Frederic Garinaud (of Renaud & Papi) & CSH developed the Harry Winston Opus 8 with a new twist on mechanical-digital watches. 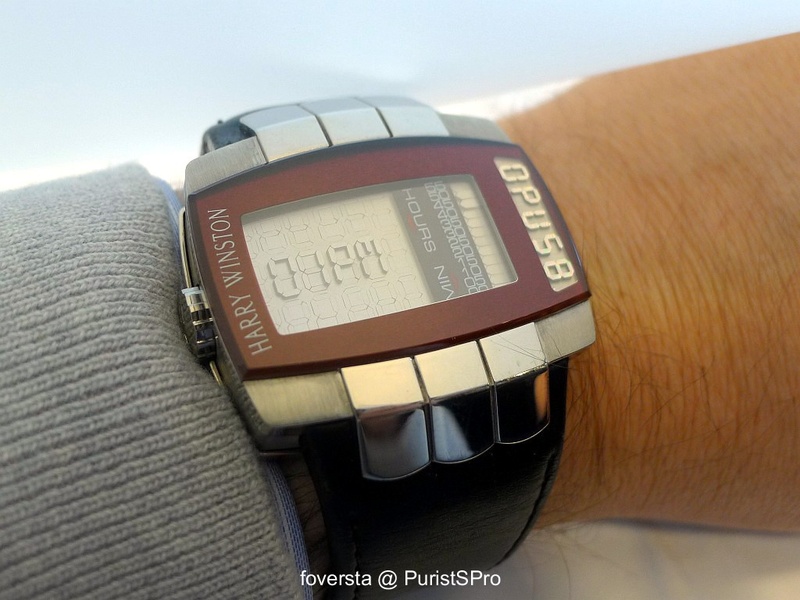 The time is displayed by pulling the side-lever down which in turn activates tiny metallic mechanical pixels to rise up from both mobile and fixed segments on the dial to reveal the hour of the day, am/pm, and indication of minutes by rising five minute markers. However, nothing appears until the mechanism is wound. When it is wound, the pieces adjust to display the time. You have to be quick as the hour can be read for just 5 seconds before the plate of pixels closes again. To understand this effect it’s easier to look at the dial of the watch in the picture. The calibre is a hand-wind movement with a power reserve of 48 hours. 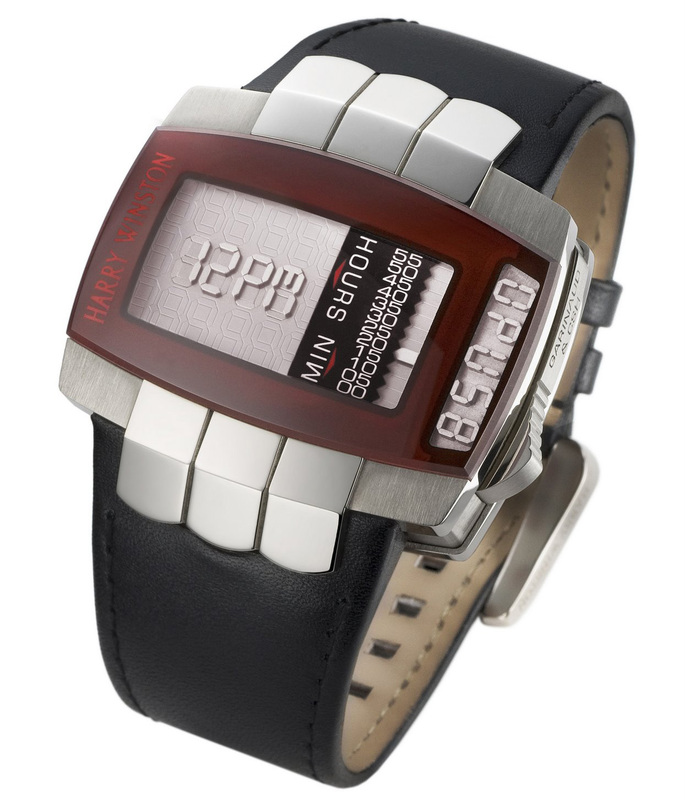 The time and the power reserve are also displayed on the back with a disk system. Being a watch from Harry Winston, where the emphasis is always on quality and superlative luxury, the caseback is a work of art, revealing the complexities of the mechanism, while giving the time in a traditional analogue format. The dial’s microbead blasted coating is similar to that of a calculator, while the segments are made of black anthracite with polished sides. The advances in mechanics are reflected in the advances in the use of materials for the watch. The sides of the segments are made of amorphous carbon, a material found more usually in Formula 1 racing cars. As a result, this material has an extremely low friction coefficient as well as a highly resistant coating. Wear, blockages and material discharge simply do not occur so the watch is designed to last not just for your lifetime, but for several generations. The watch was created by Harry Winston before the brand was acquired by the Swatch Group last year, so a future of unashamed luxury watchmaking is assured, and this year, Opus 13 was created by watchmaker Ludovic Ballouard. To get your hands on an Harry Winston Opus 8 you either have to have an excellent contact in the luxury watch industry, or by chance a wealthy owner who may have decided to sell at a reduced price. But by reduced, you understand we’re still talking about the price of a spacious three bedroom apartment in most cities of the world. The asking price is $450,000. 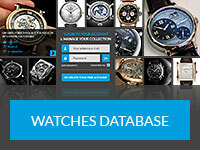 More resources about the Harry Winston Opus 8 on WorldTempus, Watchismo Times, and Official Harry Winston Website.